Following the growing popularity of the Sii OP thermal camera, Opgal announced that on-board video analytics will now be offered with the camera at no additional cost. Opgal’s video analytics can be used for various target detection, tracking and alerts and are offering a wide set of capabilities, including user-defined set of regions and fences, scene AI, Minimum target size alert modification and ONVIF-based alerts. The addition of this feature should enhance operators capability to receive real-time alerts for pre-defined set of targets while reducing the amount of data that will be needed to saved. 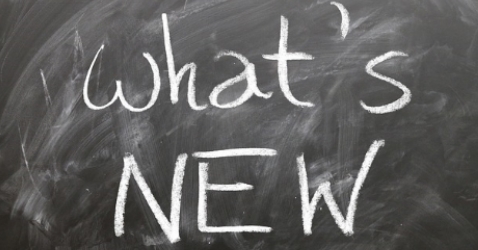 2019 appears to be be significant for Opgal, as new technologies and products are planned to be revealed throughout the year. Milipol Asia-Pacific – April 2-4, Singapore – Booth #2230. Security Expo – June 26-27, Munich, Germany – Booth K01. 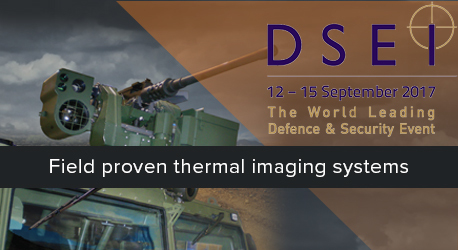 DSEI – September 10-13, London, UK – Booth N7-476. Milipol Paris- November 19-22, Paris, France – As part of the Israeli Pavilion – Israeli Export Institute. Opgal Optronic Industries, a leading manufacturer of thermal imaging systems, announced it has signed an agreement with CRISP Technology to represent the company’s commercial security products in selected European territories. Opgal’s security solutions tackle current security concerns with off-the-shelf thermal imaging systems and multi-spectral solutions in MWIR, LWIR, SWIR and visible wavelengths. The Vumii™ line of products presents one of the broadest assortments of off-the-shelf security cameras and systems available today, which can be used for all-weather day & night protection of site perimeters, borders and critical infrastructures. Opgal Optronic Industries Ltd. will be participating at IFSEC, Europe’s leading security event, at the Digifort booth 19-21 June 2018, in London. Available for visitor demonstration will be the Sii AT fire detection camera. A 24/7 surveillance camera with innovative image processing, specially designed to detect and identify hotspots and fire. Integrated with Digifort’s advanced video monitoring software, the Sii AT fire detection cameras have precise alarm triggers that can cue other PTZ cameras to the exact location of an event, all available on one platform. Opgal’s recent partnership with Digifort, an award-winning company that specializes in video surveillance software and video monitoring intelligence, comes as part of the efforts to deliver the best comprehensive surveillance solutions to all clients. Visit the Opgal team at the Digifort booth # B232, from June 19-21, 2018, at the ExCeL, London, UK. Opgal Optronic Industries Ltd. will be showcasing a variety of thermal imaging solutions at Eurosatory 2018, the international land and airland Defense and Security exhibition, this June 2018 in Paris. Visitors will be able to experience combat-proven systems for modernization and active protection solutions that provide long-range observation, enhanced situational awareness and improved survivability day or night, and in all weather conditions. Local situational awareness & driving vision enhancements will be represented by the SA Kit. Based on Opgal’s state-of-the-art Tavor SA, this system can be put together using 4 or 6 ruggedized day/night cameras that connect to display all the camera feeds on one screen, providing 45°-360° coverage and overall enhanced situational awareness. 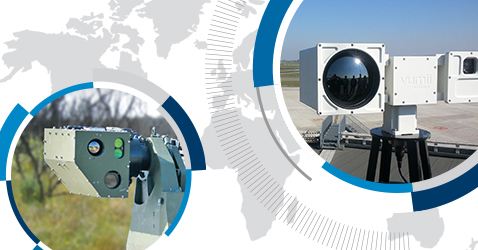 On display from the thermal sights for RCWS will be the powerful Hurricane – a multi-sensor EO sight suitable for medium and long-range observation in external weapon stations and reconnaissance pods. Armored vehicle retrofits on display will include the TKN Kit, an advanced thermal imaging upgrade solution for the TKN commander periscope, specially designed for enhanced commander situational awareness 24/7. As part of the modernization solutions, Opgal also be showing the Pintle-Mount Kit, an innovative thermal solution for weapon sight platforms. Also on show will be the Sii FG, a multi-spectral fog vision system that uses MWIR & SWIR with advanced image algorithms to deliver crystal clear images and increased situational awareness in extreme weather such as fog, snow, heavy rain, etc. Visit Opgal at Eurosatory, Booth No. H518, from June 11-15, 2018, at the Paris-Nord Villepinte Exhibition Centre in Hall 6. 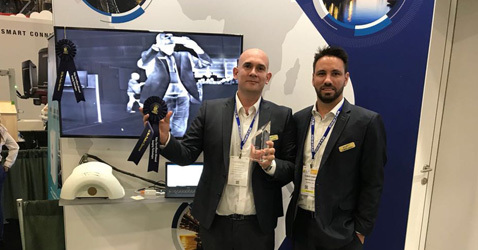 Opgal’s innovative Sii FG 16 Thermal Vision System was presented with the SIA New Product Showcase Award under the category of “Video Surveillance Advanced Imaging Technologies” at ISC West 2018. Developed in response to market demand, Sii FG 16 is a high-resolution Thermal Vision System with fused multi-spectral (MWIR & SWIR) capabilities that provides clear images in situations with severely reduced visibility. 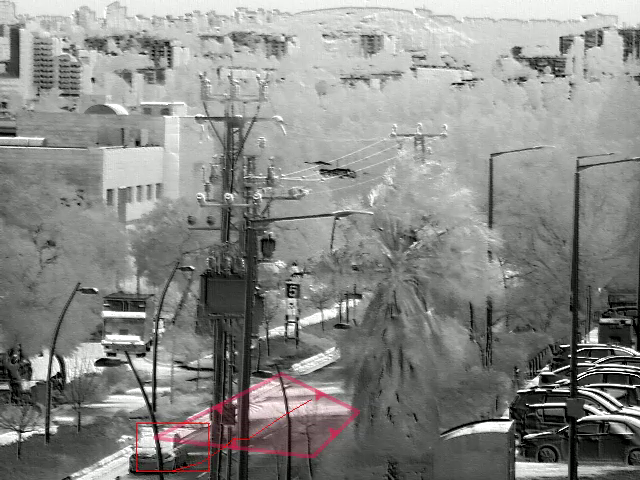 Its advanced algorithms provide about 3 times better visibility than the naked eye, and its unique design which combines thermal and short-wave images offers target detection, facial recognition and a first-in-kind image quality necessary for a variety of applications that require surveillance in harsh weather conditions. The first from a line of multi-spectral thermal cameras Opgal is developing, it is predicted the Sii FG 16 is will create a breakthrough in the thermal imaging world. 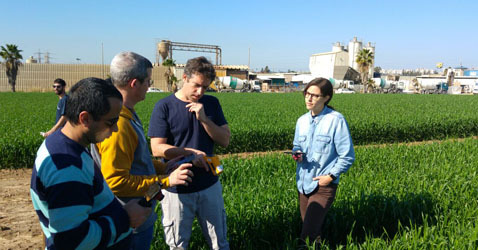 Opgal Optronic Industries Ltd. will participate in a three-year, multi-million Phenomics Consortium, sponsored by the Israeli Innovation Authority. The consortium’s objective is to develop tools and systems for precise agriculture, specifically in the field of plant phenotyping technologies, where artificial intelligence algorithms combined with Big Data architectures will provide real time analysis of phenotypic data. It is expected that technologies and comprehensive data to be developed by the consortium will potentially be transformative for precision agriculture plant treatment solutions, while at the same time providing new and advanced capabilities for all science-based research and development of agricultural products. 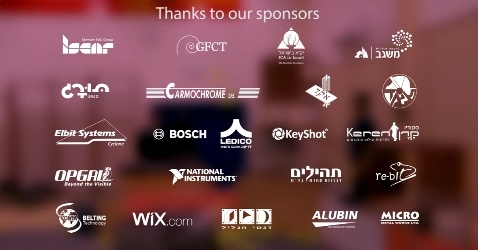 Any Intellectual Property developed by the consortium will be shared among its members which include companies like Elbit Systems, Evogen, and Hazera Seeds, as well as some of Israel’s leading academic institutes. “We are proud to join forces with other leading Israeli companies in the Phenomics Consortium,” stated Omer Yanai, VP of Emerging Technologies and Business Development at Opgal. “We trust that Opgal’s advanced thermal imaging capabilities can provide insights that will improve our understanding of plant phenotypes and will improve precise agriculture for generations to come. This project is yet another proof to the various applications of thermal imaging to the civilian market”. 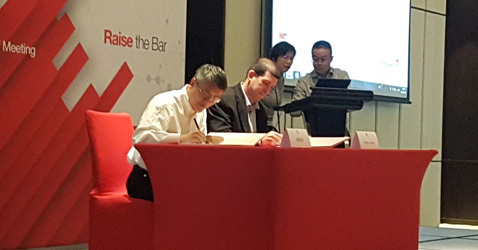 Opgal and Thermo Fisher Scientific recently signed a two-year contract for the distribution of EyeCGas Optical Gas Imaging (OGI) cameras in mainland China. The agreement was signed after several years of joint activity between the two companies, in anticipation of market growth given recent Chinese government decisions to dramatically reduce gas emissions throughout the country. The EyeCGas camera is designed for the oil and gas industry and utilizes ultra-sensitive infrared imaging technology to visualize hydrocarbon and volatile organic compound (VOC) leaks with pinpoint accuracy. It is the only gas imaging camera meeting ATEX (ATEX II 3G Ex nL IIC T6), and UL (Class 1 Div2) requirements for the use in hazardous locations and fully compliant with the US EPA OOOOa regulation requirement. “The Chinese Oil & Gas industry is quickly adopting new ways to reduce greenhouse gas emissions. We are proud to take part in this effort and are very happy to have a global player such as Thermo-Fisher Scientific as our exclusive distributor for the EyeCGas OGI camera in the Chinese territory. Optical gas imaging was adopted as the best system for emission reduction (BSER), as it enables detecting leaks safely, remotely, and efficiently. This verification gives operators confidence that EyeCGas is the right tool for the job. We hope that the effects of using EyeCGas in the Chinese Oil & Gas industry will be yet another step in creating a cleaner and safer world”, said Omer Yanai, Vice President of Gas Imaging and Technology Innovation at OPGAL. 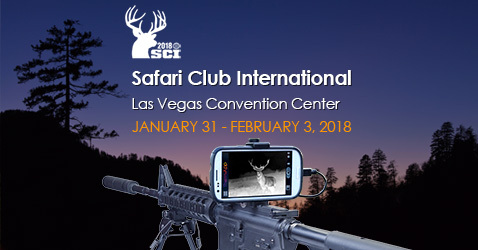 Opgal Optronic Industries Ltd, a leading manufacturer of thermal imaging systems, will be present at the Safari Club International (SCI) Annual Hunters’ Convention, from Jan 31 – Feb 3, 2018. Considered the largest international hunting show, visitors will be able to enjoy a powerful buying and selling environment for the latest outdoor sports equipment. Opgal will be showing the innovative Therm-App® Hz, a high-end thermal imaging solution excellent for tactical, hunting and outdoor sporting applications that require high speed tracking. Connecting to most Android phones, this compact and lightweight thermal camera comes with a 25Hz frame rate, making it the handheld thermal imager with highest frame rate of a on the market today. The Therm-App®Hz will be available for live demonstrations and onsite sales at the Opgal booth (# 314) from January 31 – February 3 at the Las Vegas Convention Center, Las Vegas, NV. For more information, including pre-orders, please contact support@therm-app.com. Opgal Optronic Industries Ltd will be participating at the Petroleum, Refining, Environmental Monitoring Technologies Conference (PEFTEC), from November 29-30, 2017. Representing Opgal’s innovative line of OGI Cameras will be our renown EyeCGas. Specifically designed for gas leak detection, this high sensitivity handheld camera can detect even the smallest leak of fugitive gas emissions at a distance. OOOOa compliant, ATEX Class I and II Div.2 certified, EyeCGas is ruggedized to IP65 for the harsh conditions which are typical of the oil & gas industry. For a full experience, attend our seminar on “Combining OGI Cameras with Fenceline Monitors for Better Air Emissions Management” by Ram Hashmonay, ScD, Innovation Scientist at Opgal, November 30 from 14:30-15:00. Visit Opgal at PEFTEC (stand # 89) from November 29-30, 2017, at the Antwerp Expo, Belgium. Opgal Optronic Industries Ltd will be displaying its extensive range of field proven solutions at Milipol Paris, the world’s leading event dedicated to homeland security. To tackle the rise of HLS threats worldwide, Opgal will be showing systems with a variety of range capabilities, as well as tactical handhelds and combat-proven solutions. Specially developed for security applications, Multi-Camera Systems that will be on show include our uncooled long-range dual-sensor Accuracii XRU, and the high performance multi-sensor Accuracii ML. Also on display will be the Sii OP, an open source compact dual-sensor system optimal for 24/7 surveillance. In addition, visitors will be able to view the Driver Vision Enhancement and Local Situational Awareness systems such as the Tavor 360° SA, which enables driving in complete darkness or difficult visibility conditions to increase crew safety. Visit Opgal at Milipol Paris (stand # 6M 156) from November 21-24, 2017, at the Paris-Nord Villepinte Exhibition Centre in Hall 6. Opgal Optronic Industries Ltd. will be showcasing its extensive range of thermal imaging solutions at the Arms and Security international trade fair this October 2017 in Kiev. The company will be demonstrating its combat-proven, customizable OEM Solutions that can be incorporated into armored vehicles, and offer improved survivability, visual range, and situational awareness, under limited visibility conditions. Our armored vehicle upgrade solutions on display will include the Commander Sight Kit, a high sensitivity, uncooled thermal channel for the refurbishment of peri-telescopes and episcopes; as well as the Gunner Sight Kit, a high sensitivity thermal channel that gives gunners increased visual range for identification and acquisition of targets in situations of limited visibility. Visitors will be able to observe and experience a variety of our thermal imaging systems for Weapon Stations, such as the Pintle-Mount Kit, an innovative thermal solution for weapon sight platforms; and the powerful Hurricane multi-sensor EO sight, which is suitable for medium and long-range observation in external weapon stations and reconnaissance pods. Also on display will be the high performance Accuracii ML multi-sensor PTZ camera system that enables users to observe and investigate any situation during the day or night, as well as in adverse weather conditions. Visit Opgal at Arms and Security, Booth 3-C51, from October 10-13 2017 to learn more about Opgal’s thermal-imaging solutions for defense applications. 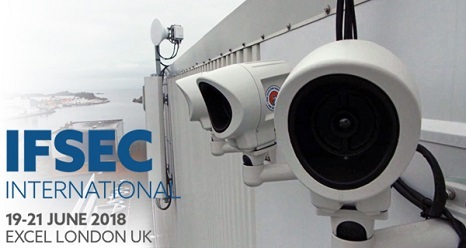 Next week we will be displaying our extensive range of combat-proven defense solutions and our field-proven security solutions at the Defence and Security Equipment International (DSEI) event, England. Available for visitor demonstrations will be a range of field-proven models such as the armored vehicle retrofits: the Gunner Sight Kit, a high sensitivity uncooled thermal channel kit which provides increased visual range for identification and acquisition of targets, and the Commander Sight Kit, a high sensitivity uncooled thermal channel for refurbishment of peri-telescopes and episcopes in MBTs and light tanks as well as heavy IFVs. Also on display for Defense applications will be the Tavor™ 360˚ SA system, a thermal solution for armored vehicles that provides the ultimate all-angle vision; the Hurricane™, a cost-effective multi-sensor situational awareness system for medium and long-range weapon stations; and the Pintle-Mount Kit, an advanced thermal imaging solution specially designed for machine gun operators. For HLS applications, we will be showcasing our Accuracii ML from our Accuracii line, a powerful family of day and night, multi-sensor PTZ camera systems especially developed for security applications; as well as our Sii handheld Thermal Binoculars. Visit Opgal at DSEI (Stand No N8-155) from September 12-15, 2017, at the ExCeL Centre, London, England. The International Security Fair of Bogota (E+S+S) is considered the largest and most experienced business platform in Latin America. 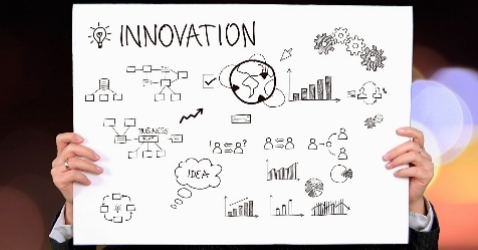 It is a leading point of convergence in terms of investment, renovation and acquisition of security technologies. Vumii will be present at the ISTC booth # 803A, our partner for the Latin America and Caribbean markets, displaying its extensive range of field-proven Thermal Security Solutions used to observe and investigate any situation, day or night, and in all weather and visibility conditions. On display for visitor demonstrations will be our broad line of rugged camera systems for observation and assessment, including models serving long, medium and short-range needs from the Accuracii family which include the market-leading long-range dual-sensor Accuracii XRU, and the Sii OP, a compact, open source, dual-sensor system optimal for 24/7 surveillance. Visit Vumii at ESS, Booth #803A from August 16-18, to learn more about our line of thermal-imaging solutions. Opgal has received funding totaling over $1M USD from the Israel Ministry of Economy and Industry. The grant purpose is to accelerate innovation, and is intended to cover a research and development period of two years in which Opgal scientists will further explore new applications and uses for proprietary technologies developed by head scientist Ernest Grimberg. The technology allows users to see prosecution level details in any lighting conditions, something that not possible with MWIR or LWIR thermal imaging. It is ideal for use in long range observation at up to 30 kilometers, can see through dense fog and severe bad weather, and is currently used for Enhanced Vision Systems (EVS) for aviation in many private and commercial jets worldwide. The features of this technology cover a wide range of existing applications, as well as holding promising benefits for several exciting new emerging markets. 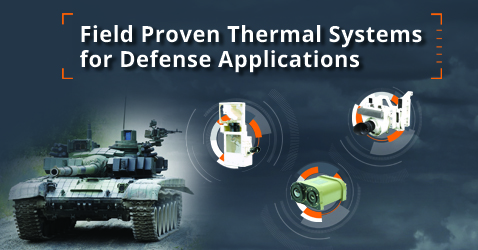 Opgal Optronic Industries will be showcasing its extensive range of field-proven defense thermal-imaging solutions at the biennial Taipei Aerospace and Defense Technology Exhibition (TADTE) this coming August. Taiwan’s most globalized exhibition in the aerospace and defense industry, it will cover the areas of aerospace, defense, airframe structure, flight control systems, unmanned aerial vehicles (UAV), and aerospace machine tools. A number of our Armored Vehicle Retrofits will be on display such as the customized upgrade kits, including the Gunner Sight Kit, a cost-effective thermal sight that gives gunners increased visual range for identification and acquisition of targets, and a clearer view in situations of limited visibility. Also on display will be the Commander Sight Kit, a thermal sight upgrade that provides enhanced vision capabilities for peri-telescopes and gives armored vehicle crews the ability to reconnoiter, identify, and tag targets at greater distances and at close range, 24/7 and under limited visibility conditions. 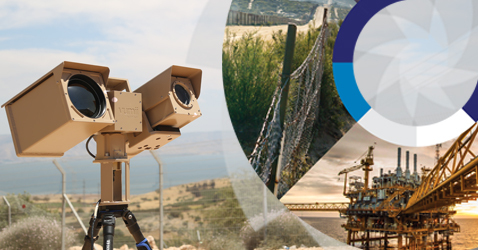 For ultra-long-range surveillance, visitors can check out the market-leading Accuracii™ XRU, an uncooled dual-sensor camera system that provides effective protection of borders on an accurate PTZ unit. Visit Opgal at TADTE from August 17th – 19th, 2017, at the Taipei World Trade Center, Taipei, Taiwan. Opgal Optronic Industries Ltd, will be participating this July 5-7 at the INTERPOL World 2017 exhibition in Singapore. A global exhibition dedicated to solutions for evolving global security challenges, INTERPOL WORLD captures the vision of a safer world through various platforms while engaging the public and private areas. Opgal will be present at booth #4D26 displaying its extensive range of field-proven security solutions for the recognition, detection, and prevention of global HLS threats. Systems range from thermal camera systems with a variety of capabilities, to thermal tactical handhelds used in a number of applications including surveillance, search & rescue, target detection, and threat recognition. On display for visitor demonstrations will be the new Sii HB 100, an extra long-range thermal binocular with dual sensors for day and nighttime vision capabilities, and optional GPS functionality; as well as other handheld thermal imagers. Other products on display include the market-leading long-range dual-sensor Accuracii XRU, and the Sii OP, a compact, open source, dual-sensor system optimal for 24/7 surveillance. Visit Opgal at INTERPOL WORLD 2017 (booth # 4D26) from July 5-7, 2017, at the Suntec Singapore Convention & Exhibition Centre, Singapore. 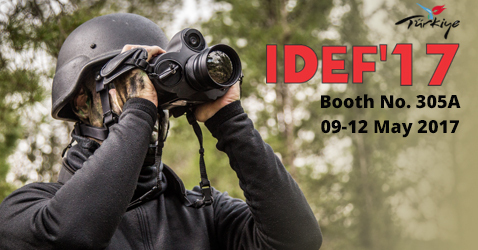 Opgal Optronic Industries Ltd, a leading manufacturer of thermal imaging systems, will be displaying its extensive range of field-proven solutions this June 6-8 at ISDEF 2017, Israel. The main international defense and HLS Exhibition in Israel, it focuses on interoperability between defense and security solutions, bringing together government and military officials, industry members, end users and decision makers from Israel and around the world. This year, Opgal will be unveiling the Sii HB 100 at ISDEF. The newest edition to their family of handheld thermal imagers, the Sii HB 100 is an extra long-range thermal binocular with dual sensors for day and nighttime vision capabilities, and optional Laser Range Finder and GPS functionalities. Also on display there will be other PVS models such as the original Sii HB thermal binocular, and the Sii WS weapon scope. Visitors will be able to observe and experience some of the driver viewer enhancer SA kits and solutions such as the Tavor SM and the Tavor BS DVE KIT, as well as the field-proven Arbel AD and Hurricane thermal sights. Also on display will be Opgal’s market-leading Accuracii XRU – a dual-sensor color day and uncooled thermal camera system that offers the range of a cooled camera at a competitive price. Visit Opgal at ISDEF (Booth #2011) from June 6 – June 8, 2017, at the Tel Aviv Convention Center, Israel. Opgal Optronic Industries Ltd, will be displaying its field-proven defense and security solutions at the International Fair of Defence and Security Technology (IDET), Czech Republic. Opgal’s thermal-imaging solutions range from field-proven thermal camera systems and integrated solutions, through custom-made subsystems, to high quality thermal cores and open frame cameras. 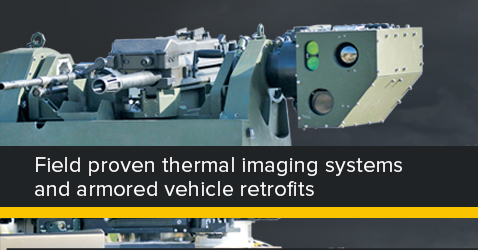 Defense applications include thermal-imaging solutions for both OEM and end users, manufactured to the highest military standards and utilized by armed forces worldwide. Security solutions include a broad line of commercial thermal cameras and systems that can be used to observe and investigate any situation, day or night, and in all weather and visibility conditions. Available for visitor demonstrations will be combat-proven models such as the high-sensitivity uncooled thermal channel Gunner and Commander Sight Kits for upgrades and refurbishments, and the Hurricane and Tavor SM situational awareness systems. In the security realm, displays will include long-range products from the Accuracii family, as well as the Sii OP, an open source compact dual-sensor system optimal for 24/7 surveillance, and the Sii HB dual sensor thermal binocular. Visit Opgal at IDET (Hall P, stand #104) from May 31 – June 2, 2017, at the Brno Exhibition Centre, Brno, Czech Republic. 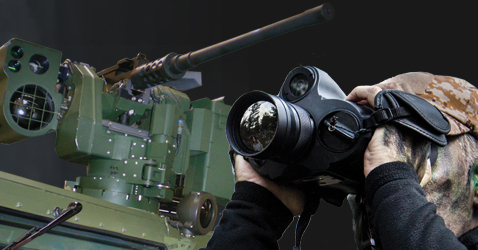 Opgal Optronic Industries will be showcasing its extensive range of field-proven defense and security thermal-imaging solutions at the International Defence Industry Fair (IDEF) this coming May. 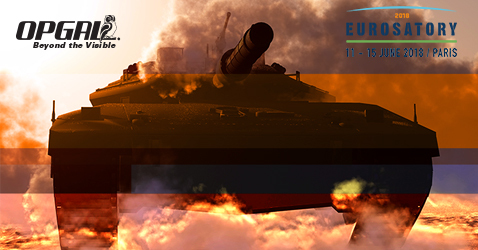 The biggest defense industry fair in the Eurasian region, it is considered to be one of the leading events in the area for establishing links between procurement authorities, official delegations, defense industry companies, and exhibitors. Opgal will be present with an array of thermal-imaging solutions that range from remote controlled weapon stations, driver vision enhancers and situational awareness products to thermal cameras systems and PVS’s. Some of the products on display will include the Hurricane, a cost-effective situational awareness multi-sensor system for medium and long-range weapon stations, and a few members of the Tavor family of thermal driver vision enhancers and situational awareness thermal cameras for armored vehicles. Visit Opgal at IDEF’17 (booth # 305A) from May 9-12, 2017, at the Tüyap Fairs and Convention Center, Istanbul, Turkey. Announcing the much anticipated launch of our new Opgal online store! Now, for the first time, Opgal is offering direct sales of selected products to our customers. Opgal is taking a new direction with our “ready to buy” storefront, offering services like direct payment by credit card for quick smooth transactions, pre-post order updates, prompt tracked shipping, and 24 hour email support. 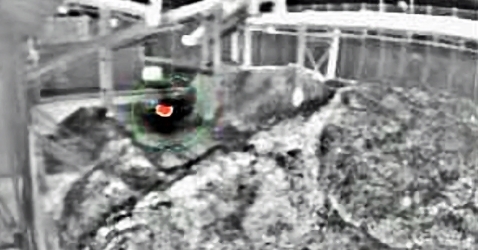 The first products to be featured in the store are Opgals Therm-App® line of handheld Android thermal cameras, The Sii HB 9Hz thermal binocular, and the Sii Core, a high quality thermal core with features like 9 Hz performance that doesn’t require an export licence, and high 648×480 resolution for surveillance and security applications. With new products coming all the time, Opgal now brings you all the services you would expect from a high end e-commerce web store. Contact us at info@opgal.com for more information, or visit our store. Karmiel, Israel, 29 March 2017: – Opgal Optronic Industries Ltd., a global leader in thermal imaging, is today announcing Opgal Eye-Q™, an innovative approach to image processing that sets new standards for thermal image quality. Based on many years of algorithmic research and field experience, Opgal Eye-Q™ delivers a high-quality thermal image so clear, that even the finest details are visible. 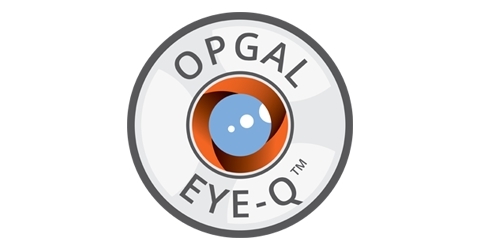 Opgal Eye-Q™ is readily available for an array of applications, from Surveillance – where small objects such as drones are detected – through Security, where important target details previously undiscernible are now clearly visible – to Optical Gas Imaging, where gas leaks are easily noted in the air. The unique image processing methods of Opgal Eye-Q™ make this technology consistently better than existing thermal imaging at all target temperatures, no matter the range or temperature differences and fluctuations. Recent advances in thermal technology have made it the first choice for day and night surveillance due to its zero light, all weather capabilities. The constant evolution of customer needs has brought with it a higher demand for image quality as good as, or better than that of CCD color daylight cameras. Opgal Eye-Q™ is already built into the new Sii™ OP dual channel thermal camera system and is also available as an optional feature with several other Opgal systems. Opgal is one of a small number of high-tech companies providing jobs in the northern region. As you will see in this inspiring video, we take a special interest in developing the minds and abilities of young Israelis. We are proud to have sponsored the MisCar FRC team 1574, from Misgav High School, with their 2017 robot design. This program is known for producing student teams with a reputation for taking the gold at international robotics competitions for over 10 years. 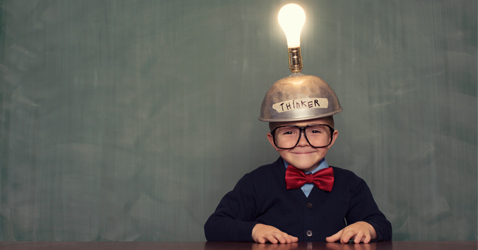 Here at Opgal we feel honored to support and develop young talents in the fields of science and engineering. Opgal Optronic Industries Ltd. will be participating at Milipol Asia-Pacific this April 4-6. The biggest international exhibition dedicated to homeland security in the Asia-Pacific region, it focuses on homeland security, counter-terrorism, law enforcement, and civil defense. 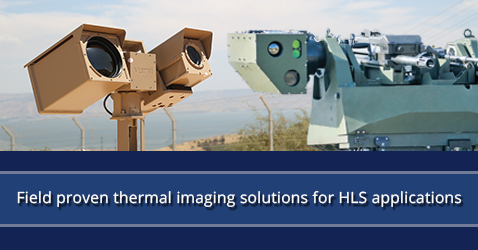 In the HLS realm, Opgal will be showing its innovative thermal solutions to tackle the rise of HLS threats worldwide. Systems with a variety of range capabilities will be showcased, as well as tactical handhelds. The Accuracii™ XRU is a market-leading uncooled dual-sensor camera system that offers the range of a cooled camera at a competitive price. Its powerful continuous zoom lens provides effective protection of borders and critical infrastructure. Compact and lightweight, the Accuracii™ AT Mini is a multi-channel system that combines two advanced cameras on a PTZ unit to provide effective 24/7 covert security. A compact dual-sensor system, the Sii OP is a great solution for day and night surveillance. It is the first open source thermal security camera that meets global ONVIF standards, and boasts incredibly easy installation and a dedicated Software Development Kit (SDK) for seamless third party integration. The Sii™ HB is a light-weight dual channel handheld thermal binocular that delivers high-resolution night vision capabilities, excellent performance, and extra-long operating life with field replaceable batteries. Designed to increase accuracy and effectiveness, the Sii™ WS thermal weapon scope provides night vision capabilities for security, law enforcement, and hunting, enhancing the safety of security personnel during operations. Visit Opgal at Milipol, Booth #1626 from April 4-7, to learn more about our broad line of thermal security solutions. 1. IWA Outdoor Classics 2017 is a leading international trade fair for hunting and sporting gear, optics, and electronics. Opgal will be exhibiting and demoing two of our high resolution thermal imagers for outdoor sporting activities, security and safety: Therm-App® HZ and Therm-App® PRO. Therm-App® HZ is a high-end thermal imaging device with a 25 Hz frame rate. It delivers smooth thermal images, especially when the user or the targets observed are on the move, using a variety of interchangeable lenses ranging from 6.8mm to 35mm. Therm-App® PRO is the newest member of the Therm-App® family, delivering unmatched thermal imaging for target detection, day or night. Visit Opgal at the IWA Outdoor Classics (booth #147) from March 3-6, 2017, at the Nuremberg Exhibition Center, Germany. For distribution opportunities, or to schedule a meeting with our distribution manager, fill in your details here. 2. JEC World is one of the leading trade fairs worldwide for the composite industry, from raw-material producers, to processors, to end-users. This year we will be demoing our portable NDTherm® system. We’ll be showing how Non-Destructive Thermography testing (NDT) can be an incredible time saving technology for diagnostics and maintenance, for offline and inline testing during serial production. Coming to JEC World? Visit the Opgal booth (booth #K84, Hall 6) from March 13-16, 2017, at Paris-Nord Villepinte, France. 3. ISC West is the largest security industry trade show in the U.S. This year we will be showcasing a number of our field-proven security solutions. 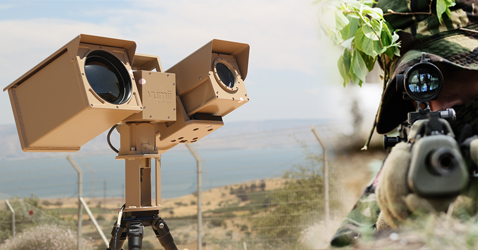 Opgal’s broad line of rugged Vumii™ camera systems for observation and assessment will be on display, including models serving long, medium and short range needs: Accuracii™ XRU, Accuracii™ AT Mini and Sii™ OP. The Accuracii™ XRU uncooled multi-sensor camera system offers the range of a cooled camera at a competitive price. With its powerful continuous zoom lens, it provides effective protection of borders and critical infrastructure. 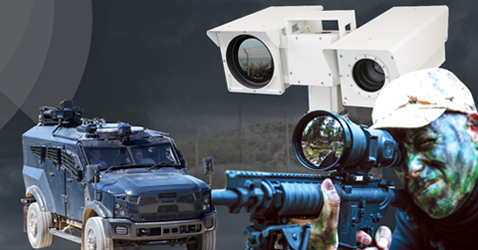 Accuracii™ AT Mini is a compact dual channel thermaland CCD camera system which provides effective covert security, detecting people up to 1km away and vehicles beyond 2km. The compact Sii OP 24/7 dual channel camera for outdoor security is our most state-of-the-art detection system to date. It is the first open source security thermal camera that meets global ONVIF standards, with incredibly easy installation and a dedicated Software Development Kit (SDK) for seamless third party integration. Visit Opgal at ISC West, Booth #35066 from April 5-7, to learn more about our Vumii line of thermal-imaging solutions. Half a century ago, at the tender age of 15, a Romanian boy would embark on what would become the journey of a lifetime, leaving his homeland and moving to Israel. 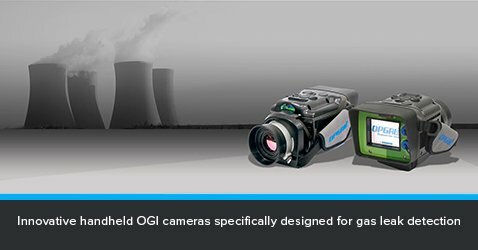 At the time, Ernest Grimberg had no idea he would set a footprint in the oil and gas industry by helping to develop Opgal’s trademark EyeCGas® OGI camera. Fast forward to 2017 and Ernest, now an accomplished scientist and researcher with over 45 years’ experience in the field of video and signal processing, spends most of his time developing mathematical algorithms that serve as the foundation for Opgal’s thermal imaging products and systems. Grimberg, who joined Opgal in 1999 and serves as the company’s chief scientist, has led some of the most important projects fueling the company’s revenues. He managed and was the main brainpower behind Opgal’s Enhanced Vision System (EVS), the number 1 landing-assist and enhanced flight vision system worldwide. He’s also helped develop Therm-App® and NDtherm®, making him a prime asset at the company. 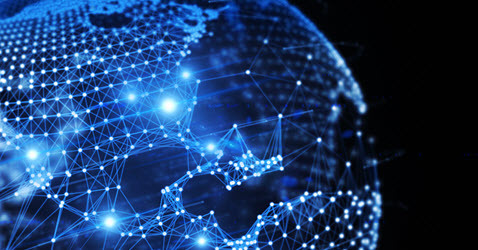 Recently Grimberg was featured on Rigzone, a leading online resource for news, jobs, data and events for the oil and gas industry. Read about his exciting journey by following this link. Opgal has just completed the integration of the Sii AT Fire Detection camera with Digifort. This integration package ensures that high-risk (hot-spot) and fire alarms are triggered directly into the Digifort Video Management System (VMS) over IP. The IP VMS system is automated and can be managed, and reports accessed remotely, by users at approved IP’s. Any number of hot spot/fire alerts, alarms, and automation modules can be set, and your cameras feedback can even be viewed from your cell phone or tablet. 1. The Shooting, Hunting, Outdoor Trade (SHOT) Show– the largest and most comprehensive international event for shooting sports, hunting, and law enforcement. Opgal will be introducing Therm-App® PRO, the newest member of the Therm-App® family, at the SHOT Show. With its advanced 640×480 resolution, Therm-App® PRO delivers unmatched thermal imaging for target detection, day or night, without compromising its compact size and weight. Opgal will also be introducing the AperioX, a mechanical platform that allows you to covertly use your smartphone as a rifle-scope. Visit Opgal at the SHOT show (booth N329) from January 17-20, 2017, at Sands Expo Center, Las Vegas, NV. For distribution opportunities or to schedule a meeting with our distribution manager, fill in your details here. 2. 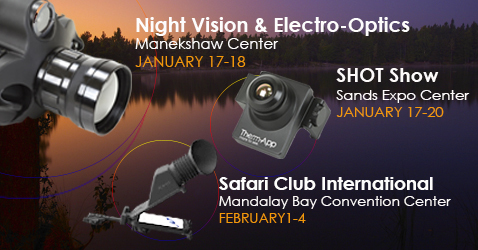 Night Vision & Electro-Optics Conference and Exhibition – this 2-day event showcases the latest products and services in the night vision and electro-optics industry. Opgal will be presenting its extensive line of tactical handheld thermal cameras. These cameras provide high contrast thermal imaging by delivering a clear, crisp, detailed view – day or night, and in all weather conditions. Visit the Opgal booth from January 17-18 at the Manekshaw Centre, New Delhi, India. 3. Safari Club International (SCI) Annual Hunters’ Convention – the world’s largest international hunting show. It attracts over 18,000 attendees, and hundreds of industry leaders who will be exhibiting the latest and most up-to-date hunting equipment. Opgal will be showcasing its revolutionary Therm-App®, the original night vision thermal imager, at the SCI Convention. Both the Therm-App® and AperioX will be available for direct purchase at the Opgal booth. Try out Therm-App® first hand at the SCI event (booth N927) from February 1-4, 2017, Mandalay Bay Convention Center, Las Vegas, NV. For more information, including pre-orders, please contact support@therm-app.com. 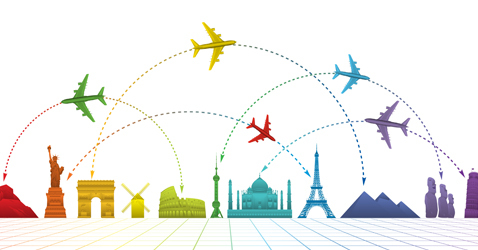 There is good news on the horizon for travelers, pilots, and airlines alike. A new Federal Aviation Administration (FAA) rule regarding Enhanced Flight Vision System (EFVS) assisted landings is expected to trigger the widespread adoption of infrared vision systems in aircraft, which allow IR assisted landings in bad weather conditions. As of March 13, 2017, an aircraft equipped with an EFVS (or EVS) will be allowed to complete a landing, even when the runway is not visible to the naked eye. Previously, FAA rules only allowed the use of an EFVS to a decision height of 100 feet, at which point the pilot had to be able to see the landing strip with the naked eye. The new rule also allows takeoffs in conditions when the destination airport weather would otherwise prevent unassisted landings. 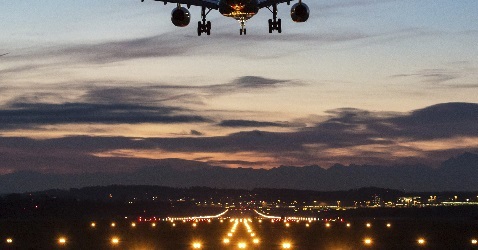 The new FAA rule, which applies to a wide range of additional aircraft (scheduled airlines, commuter airlines and general aviation) is expected to have a significant effect on the EFVS market, normalizing the practice of EFVS assisted landings. Opgal was the first to develop an EVS camera, almost 20 years ago. By now, more than 2,200 EVS cameras, that are certified by FAA and EASA for landing credit, are installed on various commercial and business aircraft. More than three out of four such EVS cameras are in fact Opgal cameras. Opgal’s 4th generation Everest EVS system, combining uncooled LWIR, SWIR and VIS spectrum sensors, is set to provide commercial and business aircraft pilots with clear video images of the runway and its surrounding environment, for years to come. Opgal Optronic Industries Ltd. was invited to present its EyeCGas OGI solutions as part of the Israeli Innovation and Technology forum. 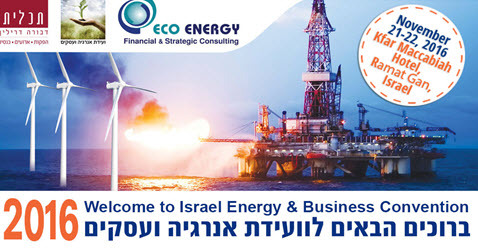 The convention, held for the 14th consecutive year by Eco Energy and Tachllit Conferences gather technology companies as well as decision makers from around the world in an attempt to produce new venture in the energy sector.